This medication is used to treat a wide variety of bacterial infections. 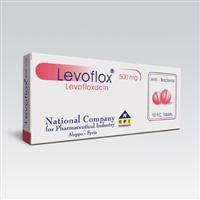 Levofloxacin belongs to a class of drugs called quinolone antibiotics. It works by stopping the growth of bacteria. This medication will not work for viral infections (such as common cold, flu). Unnecessary use or misuse of any antibiotic can lead to its decreased effectiveness.